The one thing i love about this time of year is the coats. Not that i ever need an excuse, but it's always nice to be able to justify spending your weekly food budget on an item of clothing by convincing yourself that you may well die of frostbite without it. Having a good winter coat is essential for me as i walk to and from work so I need something that's going to stand up against the often insane Scottish weather without looking like i'm wearing a sleeping bag - until that look becomes fashionable anyway, then i'll be all over it! 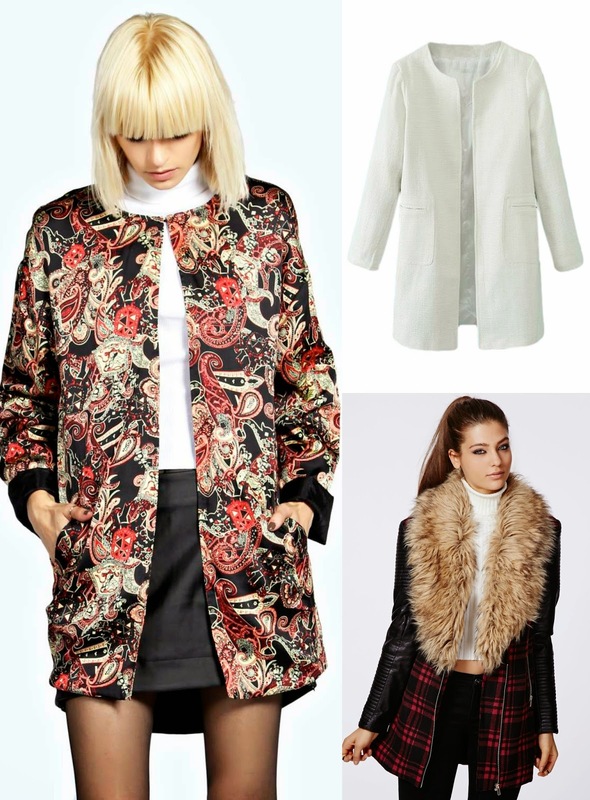 Here are a few of my favourite picks from this season. This paisley Boohoo number is an absolute dream. The luxe silk-like material and print are to die for, and the orange and gold tones are perfectly autumnal. I also love the fur collar details of the Missguided jacket, how snug does that look! 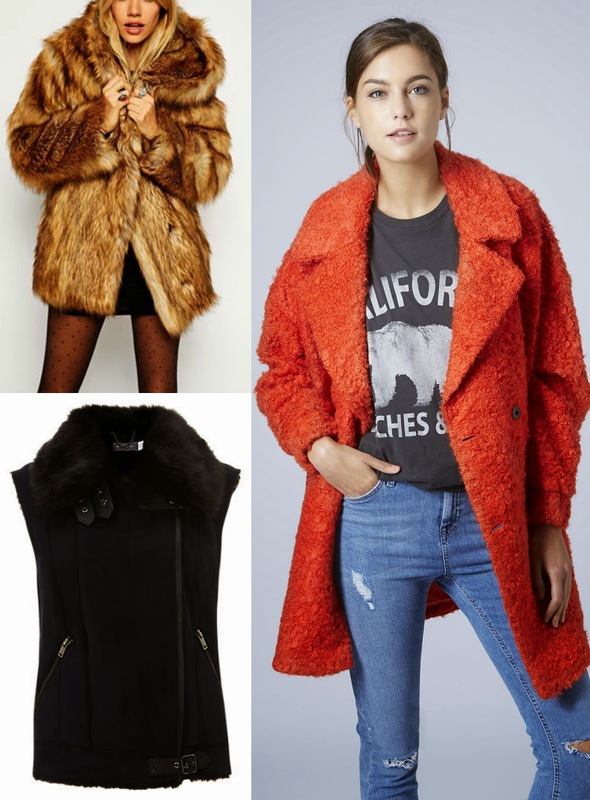 I'm a sucker for anything fluffy and warm, so the faux furs, knits and thick wool coats are definitely at the top of my list, and the golden hue of the Topshop and Asos coats are perfect for the season.